To understand what is happening on the geopolitical global scene today, you have to understand what has been happening on that same scene for the last 100 years, because it hasn’t really changed much. The US Empire has been the world’s only (and ‘greatest’) superpower since at least the end of the Second World War. Once the Empire had achieved that position, it was determined to keep it. Russia was supposed to have been destroyed as a result of the 1939-45 war, but Russian ingenuity and hardiness, and Stalin’s surprising independent streak, forced the Empire to accept a division of the world between ‘East’ and ‘West’. As soon as the lines were drawn, however, the Empire sent its agents out to continue and complete the process of global conquest. 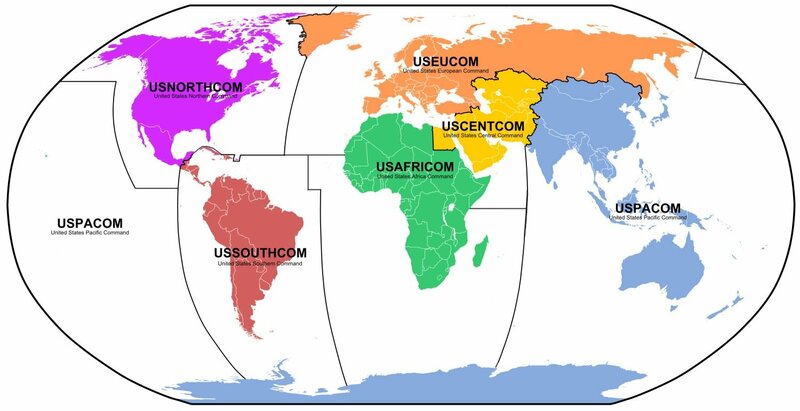 Apart from the few overt US military forays (Korea, Vietnam, the odd turkey shoot in Latin America) the Empire relied primarily on covert operations to expand its control. In Western Europe – a prized piece on the ‘grand chessboard’ – the US Empire established ‘stay-behind’ networks made up of paramilitary groups from various backgrounds and espousing right-wing, fascistic ideologies. The rationale for ‘mining’ Europe with weapons caches and nutjobs trained in sabotage and bloody mayhem was that, in the event of a Soviet invasion and occupation of Europe, ‘resistance fighters’ would form the West’s front-line in the coming war with the Soviets. These groups were created and funded as part of the Truman Doctrine, which pledged to “support free peoples who are resisting attempted subjugation by armed minorities or by outside pressures“. A Soviet invasion was never on the cards, of course, and thus this ‘support’ took the form of CIA funding, training and arming of minority groups that used extreme violence to ‘correct’ any European political or social drifts towards ‘the left’, or anything that opposed the Empire’s interests. In their spare time, many of these groups involved themselves in arms- and drug-smuggling and other racketeering, much of it also under the control of the CIA and other Western intel. agencies. A Time cover from 1979. Russia is the menacing bear. Islam, represented by the crescent symbol, would be distorted into ‘global jihad’ to become the new anti-ideology against which the West will pretend to ‘crusade’ in order to ‘defend Western civilization’. In actuality, the West will spread the black flag of jihad in order to maintain a permanent war footing and thus ‘contain’ Russia and any other threat to its hegemony. 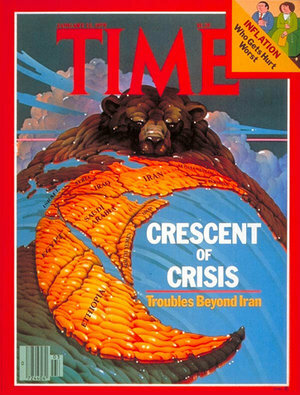 Yes, the ‘Cold War’ ended in 1991, but the hegemonic drive to ‘contain’ Russia (and China) did not. With the Berlin Wall coming down and Russia ‘joining the community of civilized nations’, world peace was in danger of breaking out. Coincidentally (or not), Operation Gladio received some public attention that same year when a number of parliamentary investigations across western Europe verified its existence, threatening the whole sordid scam with widespread exposure, but it was quickly buried by the first US invasion of Iraq. Rather than being dismantled because its raison d’etre had become obsolete, the Gladio networks during the 1990s were taken to the next level. A ‘communist plot to take over the world’ could no longer be held up as the ideological battering ram with which to keep Europe and Russia apart (and justify US imperial expansion all over the planet), so a new ‘anti-ideology’ was needed. Up to that point, Western intel. 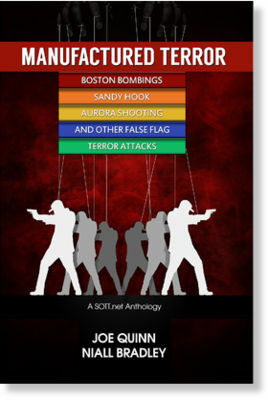 agencies had coached paramilitary groups to don ‘leftist colors’ and conduct subversive activities – bombings, assassinations, disrupting elections – in order to sway public opinion in favor of anti-Communist (specifically, anti-Russian), nationalist, law-and-order, Washington-aligned parties and governments. Going forward, they would extend and develop the successful 1980s mujahideen project in Afghanistan to recruit, train, arm and fund paramilitaries in ‘jihadi garb’, then guide them towards committing (or being associated with) terrorist atrocities carried out under the black flag of ‘Global Jihadism’, rather than the red flag of Russian Communism. Where the first version was limited in scope because ‘communism’ was associated with an increasingly smaller number of countries, Gladio 2.0 blew the field wide open because Islam is present in, and could be spread to, a far larger geographic area; a geographic area that included Russia and former Soviet Republics in the heart of the ‘World Island‘. 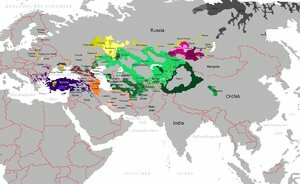 The seamless transition from ‘Gladio’ to ‘Gladio 2.0’ is best illustrated by NATO member Turkey, which has the edge over other NATO members in this new Western intelligence ‘game’ because it has a large Muslim population and is strategically situated to contain Russian access to, and influence in, the Mediterranean and the Middle East. The Turkish branch of covert CIA Gladio operations began on September 27th 1952, when the Tactical Mobilization Group (STK) (special operations department of the Turkish military) was created with the consent of Brigadier-General Daniş Karabelen of Turkey’s National Defense Supreme Council. Karabelen was one of sixteen soldiers (including Alparslan Türkeş) who had been sent to the United States in 1948 for training in special warfare (assassinations, bombings etc.) 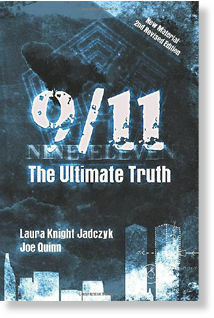 During their training several were directly recruited into the CIA. In 1965 these same men formed the core of Turkey’s Special Warfare Department, which replaced the STK. During the 1970s, the Special Warfare Department was run by General Kemal Yamak. In his memoirs, Yamak stated that the United States had set aside around $1m for weapons for the group. This CIA organisation within Turkey was effectively a parallel government or ‘deep state’, and it was only when Yamak asked then Prime Minister Bülent Ecevit for more cash for his operations that Ecevit actually became aware of the operation’s existence. Not wanting to expose to his fellow ministers that Turkey had no real sovereignty to speak of, Ecevit suggested that the organization seek support from Europe. So Yamak contacted generals from the United Kingdom and France, from whom he received a positive response. In 1992 this Special Warfare Department was renamed the “Special Forces Command”, although it remains largely controlled by the CIA to this day. Concurrently with this complete subversion of Turkey’s military hierarchy, the CIA also began funding Turkey’s civilian intelligence agency – the ‘National Intelligence Organization‘ – in which it maintained a cadre of moles, as acknowledged in 1977 by its former deputy director – and CIA recruit – Sabahattin Savasman. Having infiltrated the Turkish civilian and military intelligence establishments, the CIA then sought to co-opt Turkish political and civilian life also. In the 1960s, under US direction, one of the above-mentioned 16 soldiers, Alparslan Turkes, established the ‘civilian’ Associations for Struggling with Communism, and funded the far-right National Movement Party (MHP). The National Movement Party espoused a fanatical pan-Turkic ideology that called for reclaiming large sections of the Soviet Union under the flag of a reborn Turkish empire. This ideology was, of course, perfectly matched with the US ‘cold war’ ideology aimed at attacking the Soviet Union, and the CIA clearly were interested in promoting it, although their job was relatively easy given that Turkes and his cohorts had also been enthusiastic supporters of Hitler during World War II, who had also attempted to undermine Soviet unity under the flag of Pan-Turkism. The paramilitary wing of the MHP (today the third largest political party in Turkey) is called the ‘Grey Wolves’. In the 1960s, Turkes established over 100 camps across Turkey where members received ideological and paramilitary training from CIA agents, including one former Nazi SS member. This system was analogous to the hundreds of ‘madrassas’ established with CIA money for the training of jihadi extremists in Afghanistan and elsewhere. Often masquerading as ‘cultural’ or ‘sports’ organizations, the Grey Wolves in Turkey carried out shootings and bombings against left-wing and liberal activists, journalists, judges, Kurds and anyone else who was deemed a threat to US control over Turkey. Over 6,000 people were killed. Working with the CIA-controlled National Intelligence Organization, the Grey Wolves were also involved in several coup d’etats in Turkey and at least one foreign attempted coup in Azerbaijan in 1995. It was immediately after this 1995 coup that Azerbaijan was ‘opened up’ to Western capital and, in the words of investigative journalist Greg Palast, became the ‘Republic of BP’ (British Petroleum). The Grey Wolves also fought against Russian soldiers as proxy forces for NATO in both Chechen wars, and 15,000 ‘Grey Wolves’ fought on the side of Azerbaijan in the Nagorno-Karabakh War (1988 – 94) against Armenia (another US proxy war designed to provoke Russia). With their fanatical ‘pan-Turkic’ ideology, the Grey Wolves have, more recently, been put to good CIA use in the farthest reaches of their ‘Turkish empire’. 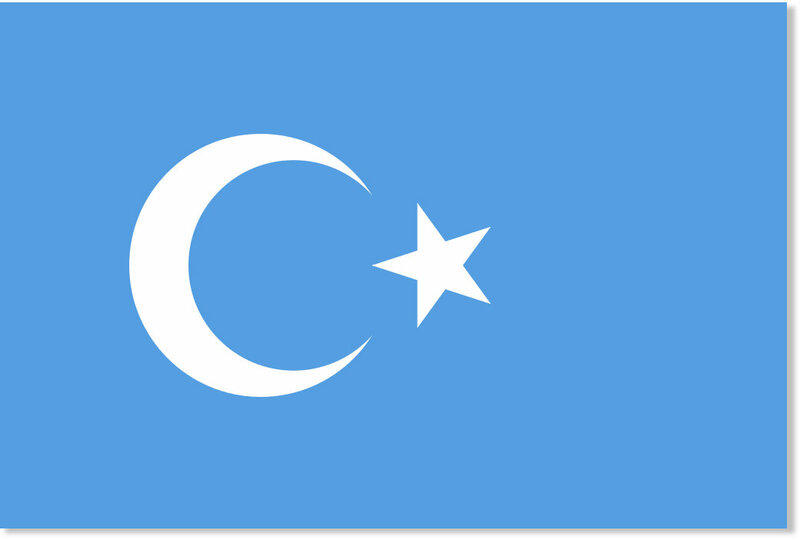 In recent years, the Eastern Turkestan Grey Wolf Party has sprung up in China’s western province of Xinjiang, supposedly in support of the Turkic-speaking Uyghur ethnic minority, some of whom have apparently been encouraged to embrace ‘jihad’. On March 1st, 2014, eight of these Uyghurs hacked 33 people to death at a train station in the southern Chinese city of Kunming. 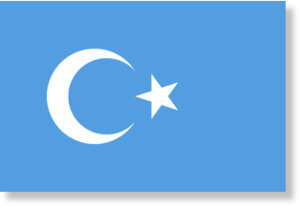 The perpetrators were found with a hand-painted East Turkestan flag and said that they had wanted to go abroad to engage in ‘jihad’, but with no papers to leave China they decided to go on a domestic killing spree instead. In July this year the Thai government stopped over 100 Uyghurs on their way to wage glorious ‘CIA-had’ in Syria (via Turkey), and sent them back to China. 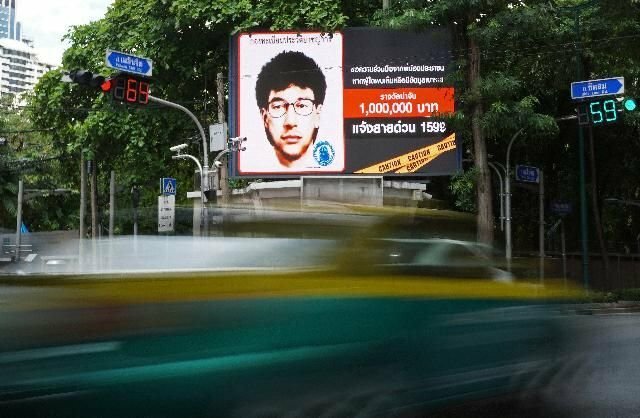 The US State Department was very annoyed – so annoyed, in fact, that in August a bomb exploded at a shrine in Bangkok, killing 20 people, mostly ethnic Chinese holiday-makers. The key suspect fled to Turkey. An accomplice to the bomber was arrested and found to be carrying 11 Turkish passports. The bombing is now suspected to have been carried out by the Grey Wolves in retaliation for Thailand’s previous deportation of Uyghur terrorist suspects back to China instead of allowing them to travel to Turkey, and then Syria. On the feel-good, peace-loving humanitarian front, the US government has gone ‘all in’ to create and financially support (via the NED) the World Uyghur Congress (in 2004), a political (rather than military) tool designed specifically to put pressure on the Chinese government. There is substantial evidence of a major US/NATO operation to traffic Chinese Uyghur fighters from Xinjiang to Turkey, and then Syria, and back again to bring ‘jihad’ to western China. According to Al Mayadeen, a Beirut-based satellite news service, abandoned villages in northern Syria have recently been filling up with the families of Muslim Chinese Uyghurs. 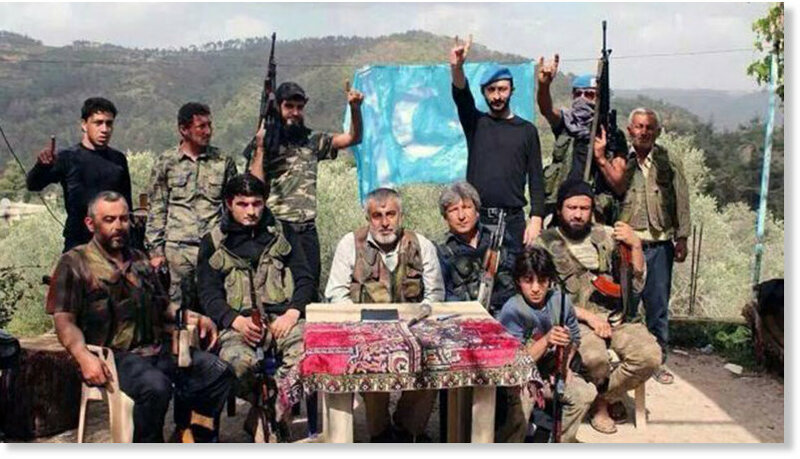 These Uyghurs, claims the report, are entering the country, along with their wives and children, to fight alongside Al Nusra Front (formerly known as Al Qaeda) and ISIS/Daesh against the Syrian government. In addition to providing a cadre of battle-trained fighters to ship back to China, the influx of ‘Turkic’ Uyghurs into northern Syria is very likely an attempt by the Turkish government to populate the area with ‘Turks’ in advance of potential ‘peace talks’ on the likely future break-up of Syria. His name is Alparslan Celik; he’s standing in front of the flag of ‘East Turkestan’ and is giving the signature ‘Grey Wolves’ hand salute. He’s not Syrian, he’s not even a Syrian Turkman; he’s just Turkish, the son of a former MHP mayor of an eastern Turkish town. Was it just a coincidence that members of this long-term, NATO-sponsored, pan-Turkic paramilitary group, with direct connections to recent Turkish-linked terrorist atrocities in China and Thailand, were in the right place at the right time to kill the Russian pilot after he ejected? 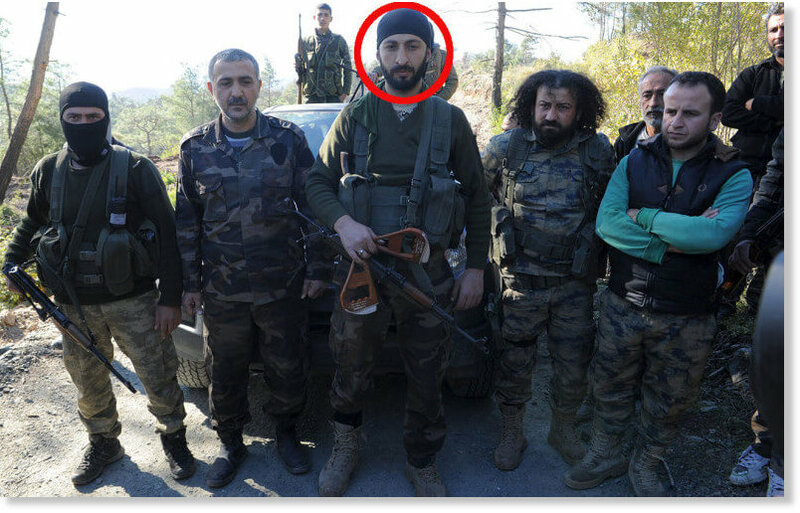 Was it just a coincidence that, within a couple of hours, Fox News and CNN reporters were there on the scene to interview this Turkish ‘Grey Wolf’ and broadcast him gloating about the murder of the Russian pilot, in doing so pushing Turkish/Russian relations past the point of no return? Is it just a coincidence that this is the second time in the last 18 months that a non-EU country on Russia’s border has seen its relationship with Russia destroyed over the shoot-down of a plane (MH17, previously) and promises of entry into the EU? Can it really be seen as a coincidence that, just a few days before the Turkish PM was scheduled to go to Brussels to talk about getting a €3billion hand out for dealing with Syrian refugees and fast-tracking the long-sought-after Turkish entry into the ‘elite’ EU club, someone shoots down a Russian bomber from Turkey, forcing the Turkish government to ‘own’ it and thereby destroying their relationship with Russia? I suppose not. Everyone has to pick a side, it seems, and some people need a little encouragement. Well, while the minutia is on going, it could not be a deep and devious unless the big players were connected as well. And how might this be done in this day and age you ask? By indebtedness. By using the power granted to the US by being the sole combatant not to have suffered internal destruction. By being johnny-on-the-spot to give a helping hand, a bail-out, a step up, a favor granted, a helpful assist, an inclined ear, a zero interest rate, a vote that favors the needy friend. This is the modern world portrayed in nearly every gangster movie, all the Wall Street movies, all the depictions of how the real world works, Avatar's scene where the ex-military says—-we need to know what makes them move or 'pound them hard if they won't.' It is the old pyschology at work: have it all out front, and it becomes ignored, and ignored, and ignored. Yet, this is exactly how the world does work. We have this false face of rights, justice, etc., and the truth is 99% of guilty pleas are coerced. Ryan gave in to be House Speaker because it was clear it was that or no political career. You dont really do what you want because you cant. You cant afford to have the animosity, the disparagement, the flack from others that feel that they had to cede so why should you be any different. The revelations that we dont trust our politicans, we dont believe our govs are honest, we know the deals are made under the table are because the politicans dont protect our interests, our gov deals favor big business, and under-the-table deals are the lay of the land.